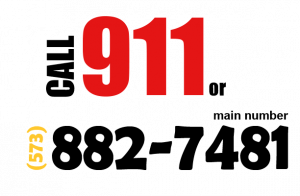 For a life-threatening situation, call 911 or go to the nearest Emergency Department. University Hospital Emergency Department’s number is 573-882-8091. A 24-hour behavioral health crisis hotline is available at 800-395-2132. For an urgent, non-life threatening, situation check your insurance plan to find out which urgent care or quick care facility will be covered. The Mizzou Urgent Care is located in the South Providence Medical Park at 551 E. Southampton Drive in the South Providence Medical Park. Mizzou Quick Care Clinics are located in the three Columbia HyVee stores. Four independently operated urgent care facilities are in Columbia. To talk to a registered nurse or leave a message, call 573-882-7481. Messages are received the next business day.